Centrally located office space is rapidly becoming a hot commodity and with occupancy rates of more than 90 per cent according to Lisney, there is a real risk of a two tier market emerging. Rising rents are causing many smaller indigenous companies to pack up and move ship out to the more affordable suburbs. Increasing demand from FDI, international IT and financial services companies is having the effect of pricing these indigenous companies out of the market. It is probable that this is a trend that is only set to increase in the wake of Brexit and the likely impact it will have on the office space rental market. Although the level of office space under construction is continuing to rise, almost half of this space is already pre-let or reserved. Despite increasing levels of construction, there remains a shortage of supply due to the growing demand from overseas companies. “Near-sourcing” is a trend that has become commonplace in the UK. This is where large professional services companies with city centre offices relocate certain functions to cheaper suburban locations. This in turn, enables companies to downsize the space required in city centre locations at premium rents. 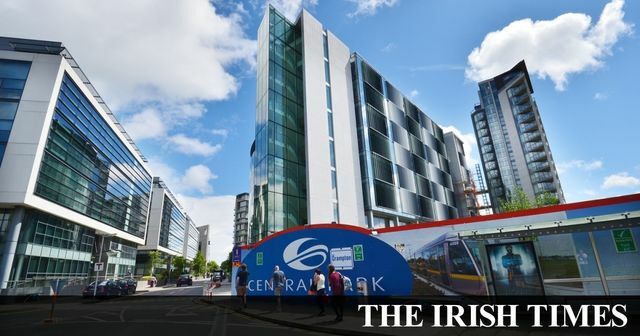 We have seen this trend starting to emerge in Ireland with places such as Sandyford, Central Park and South County Business Park becoming prime suburban office locations offering cheaper, more affordable rents in an ever increasing rental market. Marie Hunt, head of research at CBRE, believes that the suburban v CBD rent differential is compelling enough for companies to relocate from the city centre. “There is potential to make substantial cost savings in rents by opting to locate in a suburban scheme over a city centre scheme,” she says.